This year has been an important one for Google. It’s been one in which the company has built on previous growth and new products, sharpening its focuses on mobile and social and showing a glimpse of its ‘wearable computing future’. The company made a big move into social in 2011 when it unveiled Google+, and the last twelve months have seen Google unite many of its services — with Google+ serving as the social ‘glue’ — and continue to evolve its presence across the Web and mobile. Don’t miss our other 2012 lists for more great roundups and recommendations. 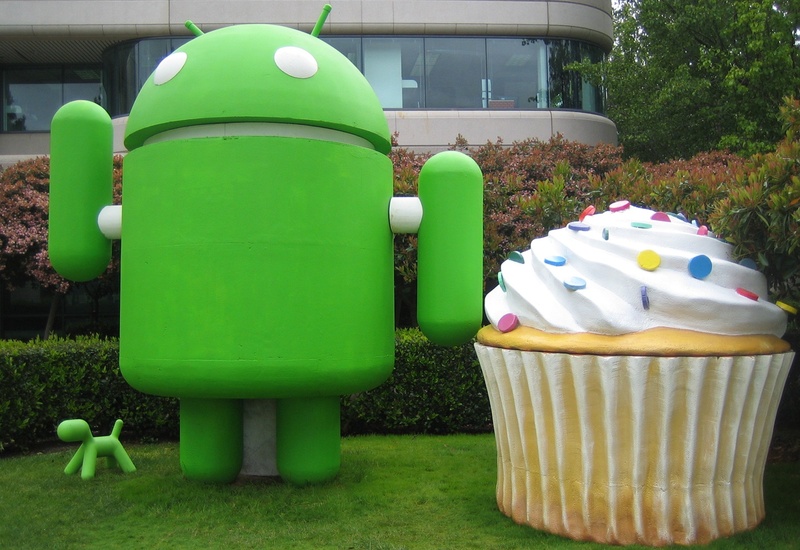 Android is Google’s answer to Apple’s iOS mobile platform. Google acquired the operating system after buying Android, the company that it had backed financially, in 2005 and the product was unveiled alongside the Open Handset Alliance — a group of Android partners — in 2007. This year was a year in which Android turned up the pressure on Apple, and Google strengthened its links to Samsung, the lead developer of Android devices. More than 500 million Android tablets and smartphones have been activated to date. That’s according to Google Chairman Eric Schmidt who, speaking in September, revealed that the company had notched up 480 million activations, with 1.3 million new devices coming aboard on a daily basis. That’s pretty impressive growth when you consider that the daily activation rate was 700,000 back in December 2011. Samsung is the chief exporter of Android-based devices and, thanks to the success of its Galaxy S III smartphone — which passed 30 million channel sales in November — the Korean company topped iSuppli’s list of smartphone makers. The company pulled in 29 percent of market shipments, a feat that ended Nokia’s 14-year reign at number one; Apple ranked third. 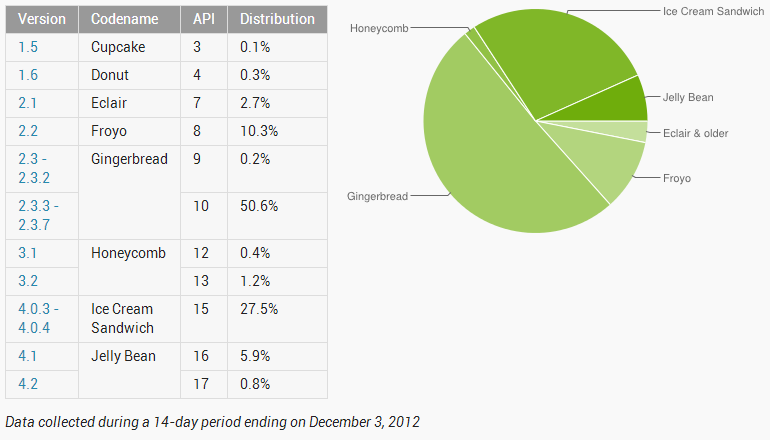 Android’s market share varies from market to market. Thanks to its range of devices — phones and tablets are available for all manner of budgets — it has picked up impressive growth in developing markets, and Asia in particular. It is said to have a 90 percent share of new smartphone purchases in China, but in Western markets its rivalry with Apple is closer. Noted Internet and technology analyst Mary Meeker, for one, puts Apple fractionally ahead in the US. However, those impressive Chinese figures only tell half of the story since Google Play — the app store that was renamed from Android Market this year — does not sell paid apps in the country. Google is also battling widespread customization of the Android platform in China, where companies like Xiaomi — which has sold 6.5 million smartphones in 18 months — run altered versions without Google services. This year, Google’s Chinese search rival, Baidu, unveiled its plan to ‘piggyback’ on Android with ‘Baidu Cloud‘, a system that strips out Google services to provide localized, Baidu equivalents. Lenovo, the smartphone market leader in China, is already on board and other partnerships may emerge in 2013. Such customization removes all competitive advantage that Google gets from its Android range. With no search, browser, docs or other services on board, its China market share effectively becomes the sum of nothing. Google drew a line in the sand on customization this year when it reportedly got involved in the launch of an Acer smartphone in China. 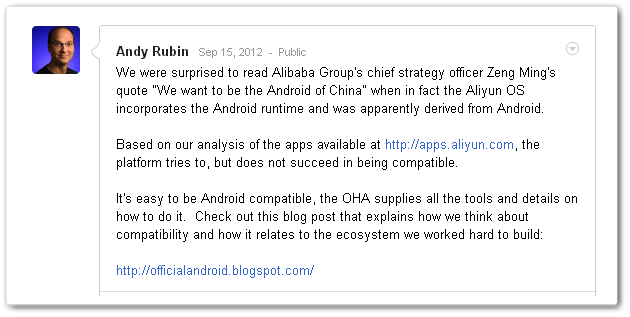 Google co-founder Andy Rubin called Alibaba’s Aliyun system “an incomplete version of Android” which incorporates the Android run-time, in order to connect to Google Play. Google pointed out that, if launched, the handset would see Acer forced to leave the Open Handset Alliance. The episode, which took place in September, saw Alibaba fight back on the claims but the issue quickly muddied into a he-said-she-said; while Alibaba subsequently spun out its Aliyun division with $200 million in investment. That sidestepped the issue in the short-term, but the original move from Google set a clear precedent for its involvement in customized Android builds and it remains to be seen how the company will handle similar issues that arise in the future. There’s little doubt that Google and Apple’s respective growth is turning the smartphone market into a predominantly two-horse race — with Microsoft/Nokia’s Windows Phone and RIM’s upcoming BlackBerry 10 platform, among the would-be third-placed suitors — but Google has its own issues. Over the past four months, combined daily revenue of Google Play has grown 43%, while for Apple’s App Store this figure has reached only 21%. Over the whole year, the App Store’s revenue has grown 51% in the 20 countries analyzed by Distimo: Australia, Canada, China, Denmark, Finland, France, Germany, Israel, Italy, Japan, Korea, the Netherlands, Norway, Russia, Spain, Sweden, Switzerland, Taiwan, the UK and the US. However, in absolute numbers, the App Store with $15 million in average daily revenue in November by far beats Google Play with its $3.5 million. That is also the summary from Opera Software, which began publishing mobile advertising reports this year. The Norwegian browser maker’s inaugural mobile advertising reports (from July, October and December) all found that iOS yielded considerably better value, based on cost-per-click. That analysis comes via Opera’s mobile advertising platform, which serves more than 10,000 mobile sites and apps and delivers more than 40 billion ad impressions per month. There is a feeling among many developers that iOS continues to delivers a ‘better quality of user’ than Android, and that is likely down to Android’s wider range of prices, which better accommodates those on a budget. Going on what we’ve seen this year, there’s no overwhelming evidence to suggest that Eric Schmidt’s 2011 prediction that things would change in 2012 has been realized. The scale of Android has made it a critical platform, but most developers would likely opt to build apps for iOS over Android if forced to pick one. On the software side of Android, Google made significant strides in 2012 with the launch of Jelly Bean, aka Android 4.1. The new system was unveiled in June and it began rolling out a month later, hitting the Galaxy Nexus HSPA+ first. The update features a range of new additions, including a fully redesigned search experience, with a new user interface and faster voice-based search. Google Now, the company competitor to Siri, was a key part and it helps to provide more personalized and contextual information to users when they need it. Jelly Bean’s honeymoon was somewhat short-lived as Apple used a court ruling to force Samsung to disable the universal search feature from Google Now on the Jelly Bean-powered Samsung Galaxy Nexus. That wasn’t the ideal start for the new update, but it has gone on to prove popular with Android fans and device makers alike. There are greater issues at play, beyond legal moves however. Google’s Achilles heel — fragmentation — has caused lengthy delays for some Android device owners waiting on their portion of Jelly Bean goodness. Indeed, just last week, Sony confirmed that its Xperia range won’t be getting the Android 4.1 update until at least February. Moreover, four of its older, 2011-made phones will miss out on the new platform altogether. The company says the devices “will be superior if they remain on Ice Cream Sandwich”. The issue of multiple builds has continued to dog Google and, though its aforementioned installation numbers are impressive, the overall breakdown of its ecosystem is still skewed towards older versions of Android. The adoption rate for Jelly Bean made a promising start when, as of August, it doubled to hit 1.5 percent of all activated Android tablets and smartphones, just weeks after launch. However, by December, that figure had only increased to 6.7 percent and, tellingly, its predecessor Ice Cream Sandwich was installed on just 27.5 percent of registered devices. In contrast, Apple’s latest iOS 6 firmware update was installed on 25 percent of its 400 million active devices within the first weekend of its release. Google has furthered its position on mobile with a series of investments on application development, in addition to bringing updates to existing services. Google+ — more on which can be found below — remains a key focus for the company as a kind of ‘glue’ that helps bring together Google’s array of Internet services, as well as connecting its users. Given its reach with Android, not to mention the growing adoption of smartphones and tablet devices, apps and software are a key part of Google’s mobile strategy. Indeed, Google+ executives Vic Gundotra and Bradley Horowitz told TNW in June that Google+ usage from tablets and smartphones was “accelerating”, and that prompted the company to completely redesign the app, with mobile users (and particularly those on tablets) in mind. While much of the impetus may well have come from the company’s then-upcoming (now launched) Nexus 10 tablet, the revamp provided clearer streams and a much enhanced Hangout experience; emphasizing the feature which Google believes is unmatched by Facebook, Twitter and other social rivals. The Android version of the new Google+ app hit Google Play in June, and it was followed by an iOS version — with dedicated iPad support — a few weeks later in early July. The company’s efforts have gone way beyond Google+, and even simply serving Android, and Google has really found its design niche on rival Apple’s iOS platform. Apple’s new iOS 6 made that possible after it dropped built-in support for YouTube and Google Maps apps which were automatically installed with previous versions. To cut a long story short — particularly around the Apple Maps backlash, which ultimately yielded an apology from CEO Tim Cook — the omission was a chance for Google to re-imagine its presence on iOS. Beyond Google Maps for iOS — which saw 10 million downloads in just 48 hours after its December 12 launch — the company has released: a standalone YouTube app, a Chrome Web browser, Google Search, YouTube ‘Capture’ video recording app, and more. As TNW’s Matthew Panzarino explains, Google has put out an impressive range of products, which total 25 different iOS apps at last count. Panzarino compares a number of Google’s iOS apps — some of which are in the montage below — concluding that the designs are well coordinated and complementary. That’s something very deliberate, as Google’s Jason Cornwell, lead developer of the Gmail iOS app explained. “A number of teams at Google, ourselves included, were looking to up our game on iOS and put out significantly higher quality releases,” Cornwell told TNW. 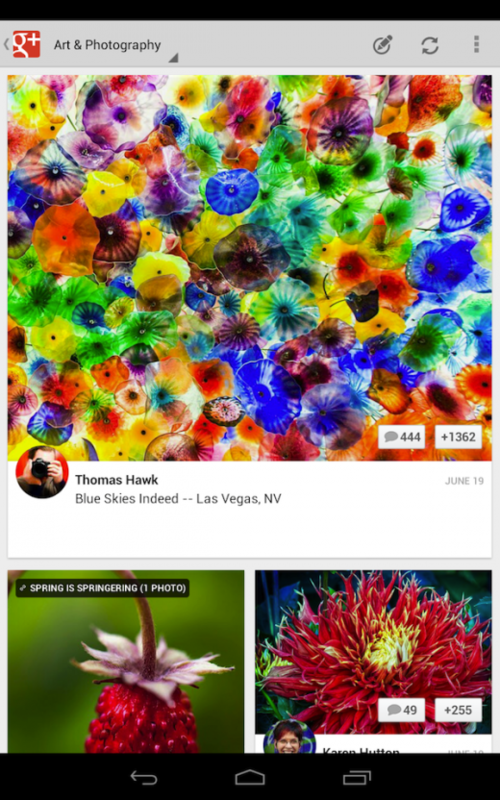 ”It was a shared desire to start making more beautiful apps. Google hasn’t just been getting its own house in order, as it also picked up one of the most sought-after photo apps — Snapseed — when it bought photography specialist Nik Software in September. Then an iOS-only app, the deal was particularly tantalizing since Facebook had bought Instagram and Twitter had long been rumored to consider introducing a (now live) set of photo filters. Big company acquisitions often worry users of smaller products and, within a week of the deal, Gundotra allayed fears by saying Snapseed would live on in spite of Nik Software’s new ownership. And indeed it did. The new Snapseed was released in October for both iOS and Android, with Google not charging for the app on either platform. Snapseed isn’t an Instagram clone. Though it does boast photo filters, it also offers a sophisticated set of features that can let users edit their photos in a way that is arguably unrivaled by other apps. Indeed, Guardian photographer Dan Chung used the application and a set of binoculars (as a telephoto lens) alongside his iPhone 4S to shoot images from the London Olympics this summer. So while it may have been pitted as an Instagram equivalent, Snapseed is far more than just that and, for example, Google has layered in support for Google+. This year was certainly a year in which Google found its mobile chops and many users of devices made by Apple, and other companies, perhaps begrudgingly, changed their opinion of the search giant’s applications for, and attitude towards, non-Android platforms. As Eric Schmidt pointed out earlier this year, Google continues to make the majority of its mobile income from iOS, so it needs to be where its users are. The other side of Google’s mobile push saw the company leap back into the device business with the release of its Nexus range, which includes the Nexus 4 smartphone and the Nexus 7 and 10 tablet devices. Google first announced its new Nexus 4, 7 and 10 devices at the end of October, alongside Android 4.2. The main factor that piqued people’s interest was the price point, which was seen as being very competitive given its specifications. The Nexus 4 — which had a WiFi-only version launched earlier in the year — comes in at around half the cost of the Samsung Galaxy S3, with an impressive set of features and Jelly Bean pre-installed. The launch of each device culminated in a rush of inquiries with many prospective customers unable to complete their orders. The October launches saw Google’s allocation sell out in less than five minutes in many markets. The fiasco, and difficulties for prospective buyers, led to Google’s UK MD Dan Cobley issuing an “unreserved apology” for those that experienced problems trying to buy a Nexus 4. The future of the device was cast under some uncertainty as Cobley publicly addressed issues with LG — maker of the smartphone — referring to the company’s supply chain as “scarce and erratic”. Issues aside, the Nexus range has proven popular. TNW reviewed the ASUS-built WiFi-only Nexus 7 tablet back in July, and found it — though limited without 3G — to be a worthy addition to the market. It is now rivaled by Apple’s iPad mini, of course, and Google has since released a 3G version of the tablet, as well as the larger Nexus 10. Google’s mobile business was also boosted by the addition of Motorola Mobility after the $12.5 billion acquisition — announced in August 2011 — finally went through in May, having finally passed its last hurdle: approval from China. Any suggestion that the deal would see Google ramp up its mobile production appears to be off base, for now, since the company has instead initiated a series of cost-cutting maneuvers, which have included: deep cuts into the company’s staff with some 4,000 redundancies. That has directly impacted a number of countries: there was restructuring in Israel and a withdrawal of almost all of Motorola’s business units from Korea’s mobile market. In addition, manufacturing bases in Brazil and China were sold to Asia-based Flextronics in December. The Wall Street Journal reported that Motorola is helping Google to develop a “sophisticated handset”, which sources say is known internally as the “X phone”. 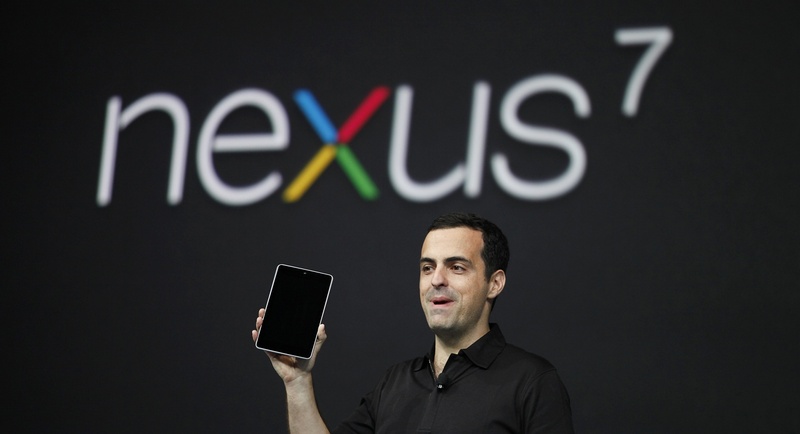 The device is reportedly being readied for a 2013 launch, after which a new tablet — “X tablet” — will be forthcoming. It makes sense that Google is putting Motorola’s mobile design and production capabilities to use. However, at this stage, and with a leak coming so early, it remains to be seen if the rumors are anything more than a PR exercise to counter the cost-cutting. Google has poured plenty of energy into the new Nexus range, and is seeing signs of success, so it is far from needing to resort to new devices to rival Apple and Samsung just yet. Its break-up of Motorola Mobility continued into the festive period after Motorola Home, the set-top box side of the business, was sold to technology firm Arris for $2.35 billion in cash and stock on December 20. Google+ continues to be a major focus for the company and, in addition to the makeover on mobile, Google’s social service got a full revamp and had a large number of new features added to it over the year. Larry Page kicked off the year by revealing that the service had 90 million users globally, which represented a doubling of users over three months. Page also said that 60 percent of users engage with the service daily. Even though those numbers were impressive — Facebook took 4.5 years to reach the 100 million barrier, for instance — the statistics sparked controversy around exactly how Google was measuring activity. Given Google+’s integration into Google services, it had been claimed that the active user data was bumped up using the fact that many were interacting with it in an almost accidental way, through services like Gmail. For Google, user numbers are important — to justify the product — but not the be-all-and-end-all, since it is about linking its services and creating engagement. Nonetheless, its data has seen push-back. A February report from comScore suggested that the average user was spending just three minutes on the service per month. Claims that Google+ is a ‘deserted wasteland’ (to use comScore’s language) have continued to be put up against it whenever Google releases fresh numbers. Publish new numbers Google certainly did: at the beginning of December, Google claimed that more than 500 million people have joined Google+. Of that, 235 million are actively using Google+ features (which include +1’ing apps in Google Play, hanging out in Gmail, connecting with friends in Search), while 135 million are active in just the Google+ stream. Despite the cynicism, those numbers are impressive and Google notched up some major landmarks with the social service — many of which came courtesy of ‘Hangouts’. Hangout video chats are being positioned as a platform in itself, not just a feature and, among the changes initiated — which included bringing Hangouts to Gmail — it was backed by some very visible figures. President Obama, Archbishop Desmond Tutu and the Dalai Lama and Japan’s Prime Ministerial candidates were among those to use the service for communications. On the sports side, the platform was used for a number of initiatives, including NFL.com’s fantasy football, while English soccer team Manchester City became the first to run pre-match Hangouts. Hangouts were also quite an area of focus when Google introduced 18 new Google+ features focusing on mobile, photos, events and more in December. That flurry of updates came after it launched Google Communities, an interest-based service that acts like a forum for discussions and helps connect like-minded Google+ users. Communities has be compared to Facebook Groups. The big changes for Google+ came earlier in the year when it rolled out an attractive redesign that gave greater emphasis to images and multimedia. 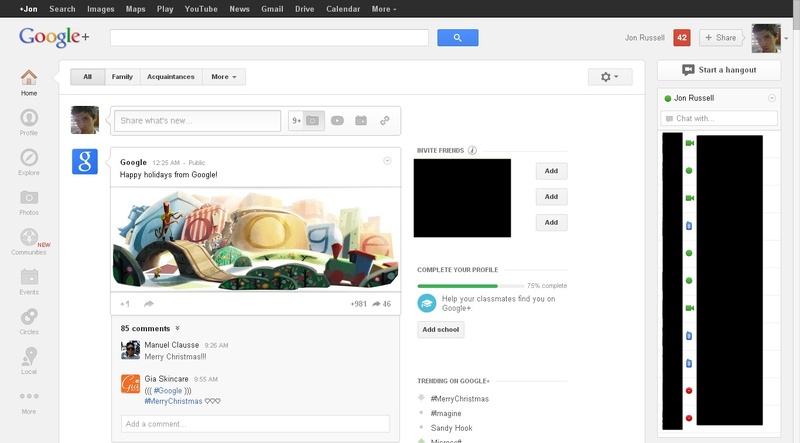 The new layout also gave Hangouts, and overall communication, a more prominent position. That design was led by former Milk founder Daniel Burka who, in December, followed long-time partner Kevin Rose to take up a position with Google Ventures. However, the refresh to the Web and mobile platforms have put Google+ in a far healthier position, come the end of 2012, than it had enjoyed a year prior: in terms of design, functionality and user numbers. YouTube is arguably a company in its own right but, leaving that aside for a moment, the Google-owned online video sharing service has enjoyed a huge year. It was, of course, one that’s made it synonymous with a certain Korea pop star: PSY, he of ‘Gangnam Style’ fame. The chances are that you’d not have recognized either the artist or song a year ago. Now, as YouTube’s most watched video of all time, and the first video to pass 1 billion views on the service, Gangnam Style has blown up on the world stage. That culminated in PSY signing a deal with Island Records in the US. Interestingly, the star is estimated to have raked in $8.1 million in earnings this year, of which $4.6 million is said to have come from commercial deals. What’s noteworthy about that is the way that PSY’s team has embraced the rampant volume of unofficial videos surfacing across the Web to help raise his visibility and make him more desirable to sponsors. That’s in contrast to most artists and publishers who work to limit piracy to ramp up sales. The PSY approach, which is similar to Rovio’s position with Angry Birds, is one that other entertainment industry figures would do well to look at. Nonetheless, YouTube has been his platform to stardom and his links with Google even saw Schmidt dance Gangnam Style with him during a visit to Korea. With PSY the shining example of an opportunity to use the Web to go international, YouTube introduced its ‘Channels’ initiative to develop original content to new international markets. The program — which provides publishers with a year of advertising revenues upfront, to help fund invest in content development — came to Europe (with rollouts in France, Germany and the UK) before landing in Japan, its first port of call in Asia, a month later. The program has come under plenty of scrutiny however. In 2011, Google invested $100 million in Channels — which is designed to create compelling content to rival premium video and movie services like Netflix and Hulu — but the second phase of funding for broadcasters is said to cut out payments to 60 percent of the inaugural content partners. That streamlining of focus was perceived as negative however, with the program opening to international markets, YouTube is diversifying the content available to help global acts build up fan bases worldwide. The most important stat that counts is that YouTube remains the Web’s top video platform, with 4 billion monthly hours of play as of October. Google undoubtedly has more plans to make YouTube more than just a drop-and-dump site for Web videos, and its investment in new apps shows it is pushing for user-generated content, as well as professional industry support. Google is famed for its long tail of Web products, many of which are opened and closed on an ongoing basis. Given that a full wrap of each would likely be an article in itself, here’s the skinny on the key product news from 2012. Arguably the headline maker of the year for Google, project Google Glass is like nothing else on the mainstream market. Looking like a pair of Oakley glasses, it has been criticized as an overly-geeky view of the future by some, while other have embraced the concept as the way that communication and mobility will develop. The product had been much speculated for some time but 2012 saw it publicly unveiled by Google co-founder Sergey Brin at Google IO in quite spec-tacular style…pardon the pun. The device is not yet completed but pre-orders for an alpha version were opened to developers at Google IO for $1,500. We’re certain to hear more about the project in 2013. Google has been active in the travel search space since its acquisition of ITA and September saw it unveil Field Trip, though to be one of the results of its acquisition of Zagat. The app runs constantly in the background, triangulating position via cell phone towers, to provide you prompts about your location. The information for the app is pulled from a variety of sources, including Zagat, which goes to prove that Google had much bigger ambitions than simply local search with its acquisition of the company. Much has been said of the service’s potential for Google Glass, and we are likely to see further details and strategy around this application emerge soon. Field Trip was produced by Google’s Niantic, the company which also released Ingress this year. The alternative reality game further underlines Google’s move towards ubiquitous communications, with projects like Google Glass. Cloud storage was another of the industries that Google was tipped to enter, and that finally bore fruit as the company launched Google Drive in April. The service replaced Google Docs and offered users 5 GB of free storage, with upgrades priced at 25GB for $2.49/month, 100GB for $4.99/month and, even, 1TB for $49.99/month. Google introduced the SDK to let developers build with Drive at Google IO in June, when it added offline access for mobile apps, enhanced search, and the iOS app. Google’s focus on consumer-facing cloud services — like Google Drive — was likely a factor behind the move to make its business-focused Google Apps service 100% paid-for in December. Existing customers will continue to use the services for free, but new users will be charged at the rate of $50 per user, per year. Google says more than 5 million people use the services, while The Wall Street Journal reports that subscriptions to Google Apps and its mapping service for businesses and governments have netted the company more than $1 billion over the past year. Google scored a major coup when it bought up the team behind popular Mac mail application Sparrow in July. The mail service is no longer being updated beyond bug fixes, since the founders have joined the Gmail team to enhance Google’s own email service. The Sparrow team had been in talks with Facebook, so getting them on board was a big deal for Google. The move is a fascinating one and it means we’re sure to see Gmail raise its game with new features as well as design. Facebook (and other bidders’) loss is most definitely Google’s gain, but still many Apple users are more than disappointed to see the Sparrow team move on. The company announced its plan to bring high-speed ‘Fiber’ Internet to Kansas in July and the $70 service began installations in November. The company has already announced that it will bring the revolutionary Google Fiber service to five more neighborhoods in the city through its next expansion, which will happen in 2013. Google rolled out a bevvy of updates for its Flights search — chiefly bringing a more visual look with extra financial details — but we were particularly taken with Flight Explorer. The test service was put together to “enable users to consider multiple destinations and multiple days at once, all using live prices, quickly”, a Google rep told us. Alongside Field Trip, this is further evidence that travel is a key area for the company. Google is no stranger to controversy in China, having upped sticks and relocated its search service to Hong Kong in 2010, but the occasion of China’s once-in-a-decade political power change saw almost all of the firm’s services disabled in the country. The services affected, which were unblocked a day later, included Google.com, Gmail, Google+, Maps, Docs, Analytics, Drive and more. Given the significance of the change of power — which took place at the 18th Party Congress — it is likely that Chinese authorities shut down the services to prevent communication via Google’s platform. The happenings underlined how Google and other Web giants are at the complete mercy of the state in China. Its AdMob mobile advertising business continues to perform well in China, according to the company, but Google announced the closure of its China music site in September, before it shuttered its China shopping site in December. In both instances, the company cited an effort to better optimize resources as the reason for the shutdowns, admitting that neither product had succeeded in China. On a more humorous line, it’s also worth pointing out that Google ran a stellar April Fools day with jokes, japes and fake news aplenty. The big shift essentially gave Google greater access and cohesion between its services. It allowed the company to, for example, serve ads in search or via Gmail based on a user’s behavior in Google+ or other services. Plenty of headlines were negative and privacy groups and governments were concerned with the development. Pressure in the US prompted Google to write a letter to Congress explaining the move. The Web giant also provided a similar explanation to the European Union, after it rejected the organisation’s appeal to ‘pause’ the introduction of the new policy. In Asia, the governments of Japan and Korea both showed concern and reached out to the company and probed the changes. Google was hit with a record $22.5 million fine by the FTC in August after being found guilty of committing breaches of privacy within Apple’s Safari browser. The FTC complaint centered around what it called “misrepresentation” of how Google would handle the privacy of users who were using Apple’s Safari browser. Google served these users up tracking cookies so that they could be targeted for ads. This was the last straw for the FTC, since it already had a privacy settlement with Google (see below). This offense was a violation and the settlement was massive — although merely pocket change for the firm. Interestingly, Google did not have to admit guilt in the matter. Previous to the Safari issue, an ongoing FTC probe into whether Google’s search engine is anti-competitive was expanded to include Google+ in January, in response to the company’s efforts to unite its services. Leaks have hinted the FTC is ready to rule that Google is in breach of antitrust laws, however the findings of the report are expected to be delayed until next year. FTC Chairman Jon Leibowitz had been hoping to conclude the two-year-long investigation into whether Google’s services down-rank competitors this year, however he is almost out of time. 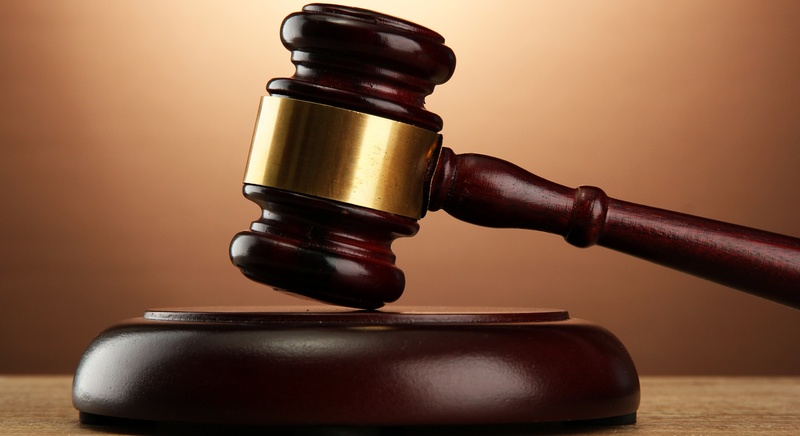 Recent speculation of a settlement has suggested that Google will be handed another FTC fine, but only time will tell. Images credits: AFP/Getty Images, fromkeith / Flickr, Kimihiro Hoshino/AFP/Getty Images, Spencer Platt/AFP/Getty Images, Google Korea, Cory M. Grenier / Flickr, Africa Studio / Shutterstock.